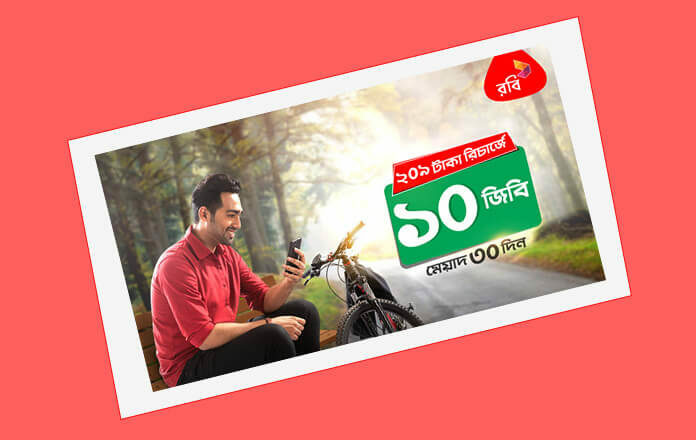 Robi 209Tk Recharge Offer 10GB 209Tk Internet Pack 2019! Robi Axiata Limited easy biggest mobile operator company in Bangladesh, Robi always provide customer satisfaction internet offer. Robi new internet offers 2019, only 209Tk 10Gb internet validity 30 days, it’s an amazing and very good offer. Robi (018) special user offer. 209Tk activation code not allow. The only recharge system allows. Dial *3# to know internet balance.